Earlier this year, we highlighted our commitment to the personal education development of our staff. Team members from the content marketing side of Simpleview’s Digital Marketing department recently fled the summer heat in Tucson, Arizona for the less hot but more humid weather in Cleveland, Ohio to join more than 4,000 attendees at Content Marketing World 2018. Taking place earlier this month, the conference put on by the Content Marketing Institute boasted more than 200 speakers over the course of four days. The daily sessions were broken into tracks ranging from analytics and data to storytelling and content creation. This year’s conference had a gaming theme, which many presenters chose to incorporate into their sessions and talks. With our Social Media Specialist, Shanda Maloney; Marketing Automation Specialist, Christopher Rolls; Digital Content Editor, Josette Arvizu; and myself, a Digital Content Writer, all in attendance, there was certainly something for everyone. A kickoff reception at the Rock and Roll Hall of Fame and a closing keynote by Tina Fey didn’t hurt either. Check out the thoughts and impressions of each team member as we reflect on our time at Content Marketing World. Overall, I was quite impressed with Content Marketing World’s schedule, from the sessions and keynotes to workshops and—my personal favorite—the ease of use of their app which included conference center maps. My time at the conference focused on the social media track, where I was able to learn incredible tips from brands like Marriott. As one of the largest hotel brands in the world, Marriott shared how they built the Marriott Content Center of Excellence to go beyond selling rooms by inspiring customers to seek experiences. This includes blogs, YouTube series, an influencer strategy, social listening, and a team that integrates all aspects of the hotel business to maximize efficiency. The Industry Lab, “Stake Your Claim: The Simple Secrets Smart Travel Brands Use to Build Booming Businesses,” presented an all-day, hands-on working session hosted by Andrew Davis, author of “Brandscaping” and “Town, INC.” This workshop peeled away the layers of how DMOs currently focus on marketing their destinations and inspired the audience to own a claim about their destination that makes it unique. The DMO lesson being that, it’s not about being everything to everyone, but owning that one thing customers can’t experience anywhere else. Plan your sessions schedule ahead of time. Wear comfortable shoes—there’s a lot of mileage in four short days. Sessions fill up quickly, so you may need to leave during the Q&A to get in line for the next session. The session was great, actually, but not at all what I expected. It turns out I am too metaphorically minded and I assumed that the “salvage yard” referred to content repurposing or salvaging your current resources to make something new. That would have been an interesting session too, but the real one was about content marketing through video and website content by an actual chain of automobile salvage yards called Pull-A-Part. The brand’s digital and content marketing team, lead by Laura Kerkobin, has really mobilized automobile repair influencers and DIY enthusiasts and created a lot of great video content. The session’s key takeaway was to know your audience and find the influencers that can partner with your brand to reach them. Embracing honesty and authenticity was an ongoing theme throughout the various sessions and keynotes at CMW ’18. Our tendency as marketers is perhaps to anesthetize the voice of our brands, to make it generic and try to appeal the impossibly broad audience of “everyone.” Nothing is for everyone, no matter how hard we try to broaden our messaging scope to catch the attention and bookings of destination travelers. In fact, as keynote speaker Ann Handley said, the best things you can do when writing to your audience are to write with your authentic voice and have someone in mind and write to them. Handley, Chief Content Officer for MarketingProfs, explained how Warren Buffett ensures shareholders actually read the annual investor letter. He writes in his own Midwestern, folksy, and sometimes genre-defying way—the 2018 letter included a Rudyard Kipling poem. He also drafts the letter by imagining he’s speaking directly to his sister and good friends, and not to finance insiders. He includes information and insights that they’d likely want to know and in a way that they can understand. Though this may seem like old hat—as DMOs, we create various personas and purportedly write for those personas—it’s easy to veer back to a generic, one-size-fits-all approach, even after we do all that work developing personas. The example of Warren Buffett’s investor letter was a helpful reminder that we need to write to people, not these faceless, and too often bloodless, personas. Complementary to the recurring theme of authenticity, was the emphasis on long-form content. The two really do go together. There’s only so much content our visitors can consume if it’s not targeted at anyone in particular, especially not the visitor who’s engaging with it at that moment. If the content is written with a distinct voice and style that highlights the writer or brand, if it makes the reader feel seen and understood, if it connects in a real way, it can be as long as it needs to be. It was heartening to get the validation that instead of getting hung up on restrictive word counts or time limits, quality content is quality content is quality content. Always read the session descriptions before deciding on your conference schedule—you can totally misjudge a session based on its title or description. Go with the flow in a busy conference. Interesting case studies in content marketing can come when you least expect it. Now that a few weeks have passed since attending the whirlwind CMW conference, there are certainly some moments that stand out. First, there was Andrew Davis’ morning keynote, “Curiosity Factor: The Psychological Phenomenon Creative Content Marketers Employ to Earn and Own Attention in a Noisy World.” To illustrate the curiosity factor, Davis introduced a real-life mystery box at the outset of his talk with the promise of unveiling its contents by the end. As he proceeded to explain what he calls the curiosity gap, which is essentially a void between what we know and what we want to know, Davis periodically returned to the mystery box. By the end of the 45-minute keynote, everyone in the audience was dying to know what was in the box. In this way, Davis expertly employed his own tactic to keep everyone engaged throughout the keynote while also presenting the curiosity gap as a tool for creating compelling content. The box went along with the gaming theme of the convention and was full of board games which one lucky audience member won. Another standout moment occurred during “The Competitive Edge: How to Create a Unique Content Spin in a World of Copycats” presented by Andrew and Pete. The content marketing duo from across the pond—yes, they really only go by first names—took the gaming theme of the convention to heart with a session set up like a game show. While they worked through how brands need to establish what makes them remarkable in order to create content that audiences actually want, clues were interspersed throughout the session with one brave audience member responsible for cracking the code. After presenting the three layers of content remarkability—ideation, validation, and dependability—the selected participant raced through hundreds of attendees to find the clues in under 60 seconds. After which, she set off a confetti gun that blasted colorful strips of paper into the air to the delight of everyone in the room. From the inspirational moments to the eye-opening lessons, being in an environment where you can casually turn to the stranger next to you and strike up a conversation that inevitably goes back to content was a truly beautiful thing for a writer like myself. Take notes. By the end of the conference you may experience information overload. Notes will help you make sense of everything you learned. Don’t be afraid to ask questions. Whether it’s during a session or afterwards, the presenters and speakers are surprisingly approachable and happy to answer questions. Make friends. Some of the best conversations and networking opportunities will arise from simply talking to the person next to you in line or in a session. 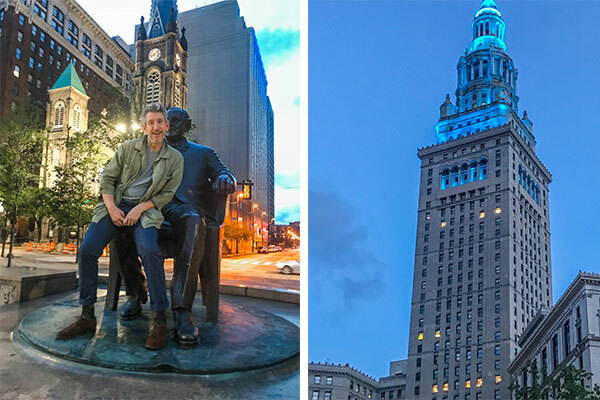 As I entered the Huntington Convention Center of Cleveland, it was obvious the folks at Content Marketing World wanted to impress upon me the scope of marketing and how difficult it can be to navigate. Fortunately, CMW provided a well-designed app that guided me through the massive convention center and provided a portal to the session schedule that allowed me to stitch together a tailored experience. In hindsight, front loading a personal schedule would have been more efficient. However, I decided to cherry-pick sessions with titles that caught my attention—but of course, not until after the kickoff party at the Rock & Roll Hall of Fame. Well okay, not until after post-kickoff dinner and cocktails at Butcher and the Brewer. As I mentioned, CMW provided an abundance of sessions. So, with fresh coffee in hand I decided to choose a few sessions at random, the first of which was “Think Like A Filmmaker.” Speaker Denise Roberts McKee shared how documentary films and their storytelling techniques could be used as a powerful and captivating way to convey a brand’s story. Immediately, I began ingesting and converting McKee’s vast experiences with film into methods for destination marketing organizations to properly define marketing automation strategy and project development around the desired storyline of their destination. The next several hours—well, honestly the next two days—were a whirlwind of topics such as optimization, immersive storytelling, engagement tactics, data insights, agile marketing roadmap creation, and so much more. In the end, it would be a session called “Email Marketing Automation at Every Level” that spoke to me. The speaker was Jessica Best, who spoke with humor and authority about data-driven email marketing automation. Jessica is an evangelist for permission marketing and that surfaced repeatedly as she showcased a variety of successful campaigns, of which the standout was Spirit Airlines. I was genuinely impressed with the accessible advice Jessica delivered around this particular campaign, especially with regards to measurable and targeted marketing that is shifting public perception of a very difficult brand. In all, I was very satisfied with CMW. However, I would love to see more breakout sessions and workshops, particularly related to marketing automation, but of course, that is selfish desire. Speaking of which, I would certainly not argue with future CMW sessions being held at some of Cleveland’s excellent dining choices, and in particular at the confusingly named Chicago’s Home of Chicken and Waffles. Pick a few random sessions and challenge yourself to apply them to your role and industry. Eat all the local food you can from fine Cleveland establishments. As you can tell, a fun and memorable experience was had by this quartet of digital marketing experts. Keep an eye on our blog as we look to share more of these experiences our talented employees take part in. And if you’re interested in learning more about our content marketing services, please contact your Simpleview account manager today! 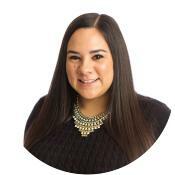 Amber Gallegos works with our Digital Marketing team to write, proofread, and edit outstanding content for destination websites. She uses analytics and research to create high-quality written content. She received a degree in journalism from the University of Arizona and worked as a reporter and editor for several years.